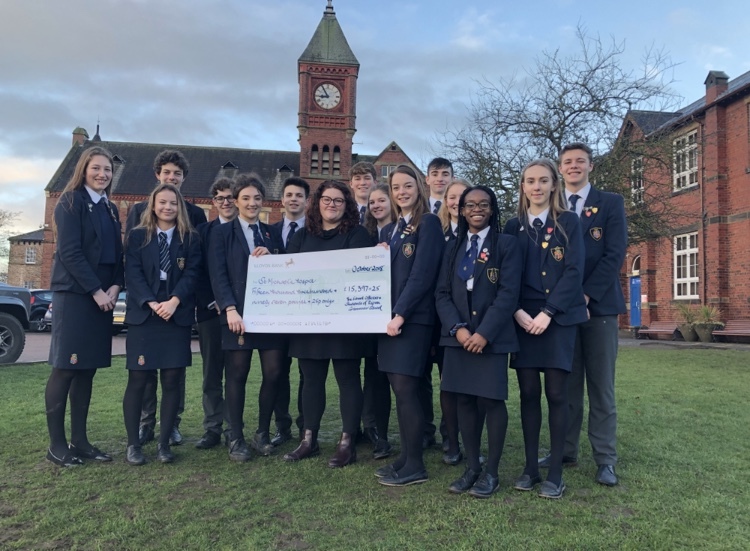 Students from all year groups ran stalls, sixth formers organised a charity function and pupils in one form raised £390 by swimming more than the distance of a marathon – 2,131 lengths – in the school pool during their lunch hour. Grace, from Ripon, whose father Jim, a barrister, sadly died aged 49 in 2017, said she was delighted at how much the school had raised. She said staff at the hospice had helped her whole family when her father Chris, a builder, sadly died aged 54: “I know our fundraising will make such a difference to so many people’s lives,” she said. “I think we did get the message across about the amazing work that they do, not only in the hospice itself but also through their grief counselling and home care services." Chief executive of Saint Michael’s Hospice, Tony Collins described the amount raised by Ripon Grammar School - the largest amount ever raised by one school fundraising event for the hospice - as remarkable and inspiring: "We would like to extend a sincere thank you to all the pupils, staff and parents for their enthusiasm and generosity for choosing to support us in this way. We loved hearing about the different events held and it sounded as though a great deal of fun was had, with film nights, pantos and quizzes," he said. “We would also like to congratulate the school for its success in raising their record-breaking total. This truly impressive donation of £15,300 will be put to immediate use, helping us ensure that local people living with a terminal illness and their families can make the most of precious time together,” he added. 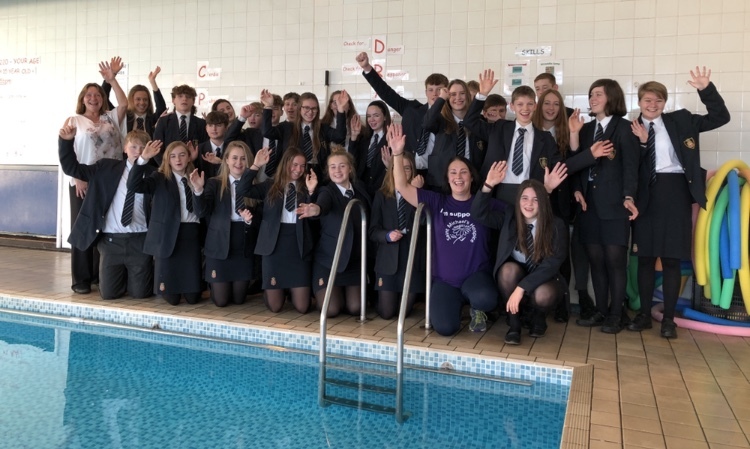 Form 4C, pictured above, with teachers Helen McKenzie, who also swam the marathon, and Julie Dekanski, who donated £1 to everyone who raised £10. Grace's brother, Wilf, also took part in the swim. He said: "I'm thrilled RGS is supporting Saint Michael's as they didn't just help my dad in his last days, they supported me, my mum and my brother and sister too. It's good to be able to give a bit back." 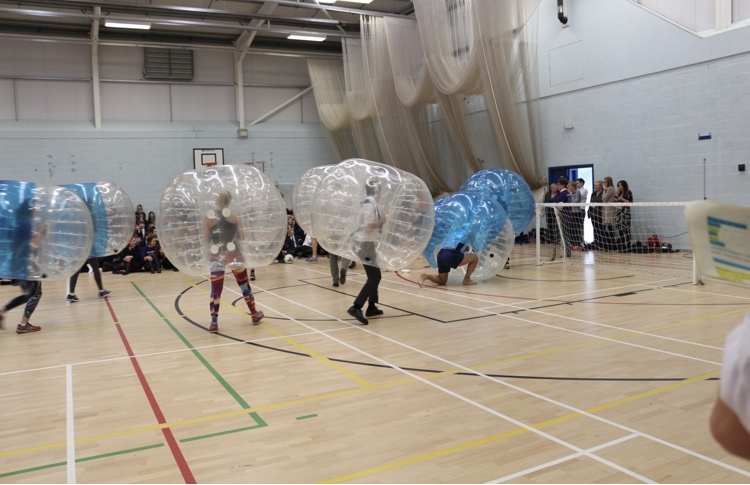 Form captain Cayla Davies said: "Our group activity has united us as a form. Everyone is talking about how much Form 4C raised." Teacher Mrs McKenzie, who says she benefited from having treatments at Saint Michael's herself as a cancer patient, added: "I spoke to the form about it and it really struck a chord. 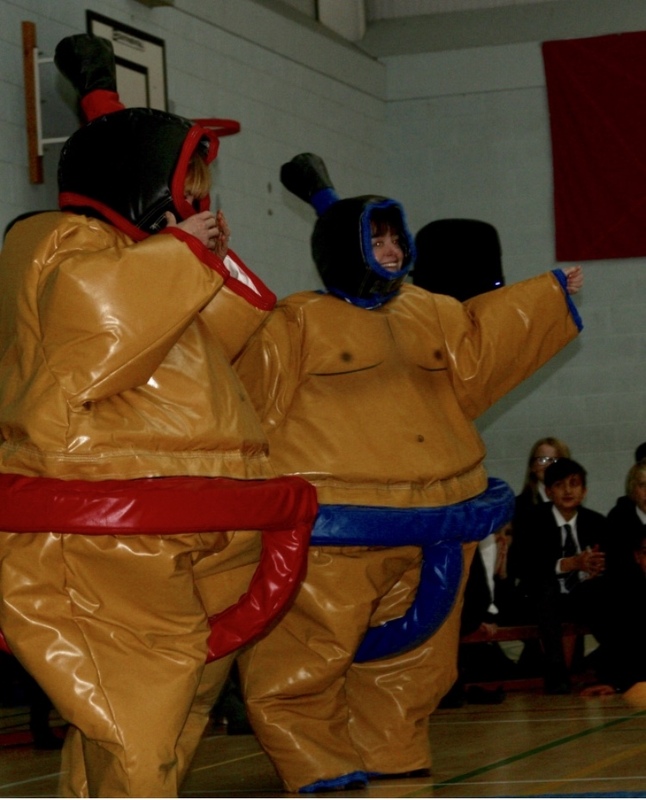 All the pupils pledged to raise £10 each. The swim was a massive challenge for some students, but also a lot of fun and gave us all a great sense of achievement." 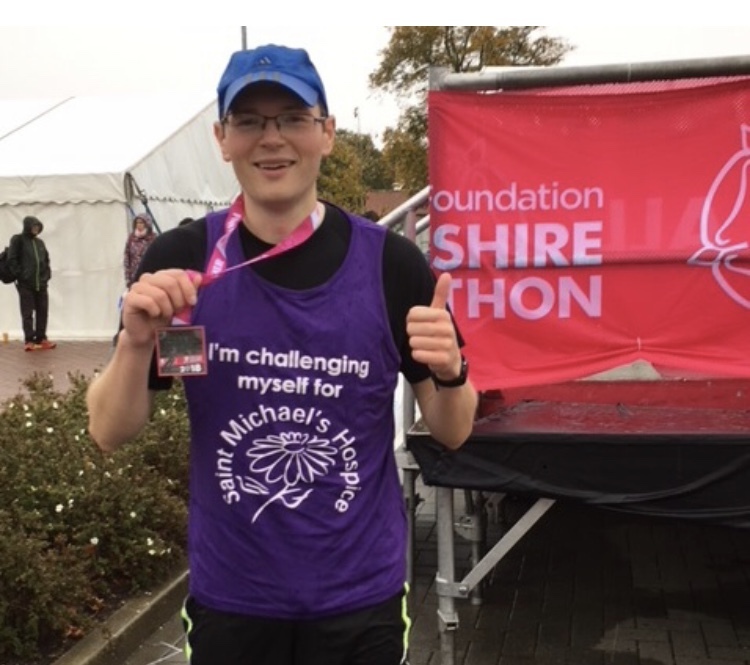 History teacher David Bruce was inspired by students to run his first marathon in aid of Saint Michael's Hospice: "St Michael's is a charity that has helped countless people in the local area, including pupils and families within our school community. 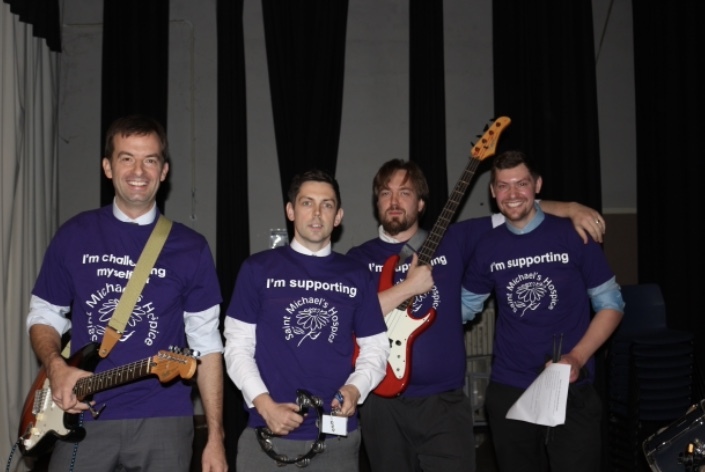 As a teacher at the school I hope my donation will help ensure this brilliant charity continues its vital and varied work in the Ripon and Harrogate area." 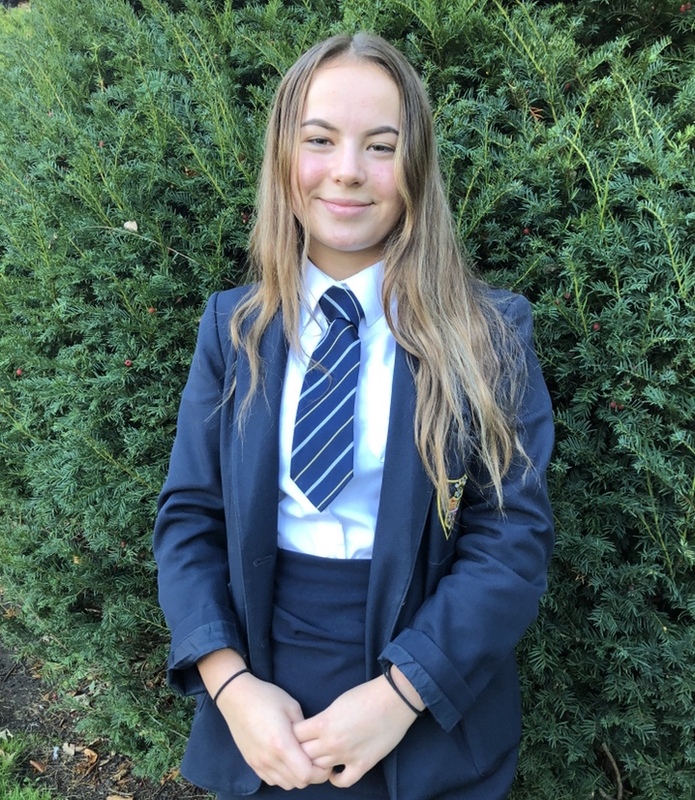 Fourth former and keen athlete Ella Foster has been running since she was eight years old and, aware of how members of her own family had been cared for in a hospice, was inspired to do ten 10k runs to raise money for Saint Michael's: "A lot of people just think someone else is going to donate, that someone else can put money in. But it's important that everyone does a little bit, it adds up. We need to make a difference. Our form teacher Mrs McKenzie told us about the treatment she received there and how it's like a second home. That's how they make it feel and it makes such a difference to people's lives." £15,300 could provide more than 300 one-to-one sessions to help a child or young person to live with the death of a loved one, with a one-to-one support session with an experienced support worker. Saint Michael’s support workers are specially trained to help children and young people live with the changes that a person’s death has brought to their life and find ways to express and manage their grief. This might include talking through their feelings in a safe environment, creating meaningful artwork, making memory jars or other activity. £15,300 could support 153 people to access support from a range of experts during a day visit to the hospice. Spending the day at Saint Michael’s helps people with any terminal illness to manage their physical symptoms and enhance their feeling of wellbeing. As well as receiving expert medical care and support, a visit to day therapy allows patients people the chance to relax, unwind and feel more like themselves for a couple of hours. £15,300 could help 102 people get support they need in the comfort of their home with the help of a week of visits from members of the Saint Michael’s outreach team. Your gift means the expert team at Saint Michael’s can care for someone in familiar surroundings, with their friends and family on hand, and help them live at home with confidence, independence and dignity. £15,300 could provide support for 38 people to have an overnight stay at Saint Michael’s tranquil Harrogate-based hospice, covering all aspects of inpatient care, including symptom control, meals and medicines. Once at the hospice, patients receive 24-hour, high-quality care in one of ten individual rooms, providing a safe and comfortable space. The expert team includes doctors, nurses and healthcare assistants, physiotherapists and occupational therapists, social workers, and other professionals all on hand to ensure every aspect of a patient’s physical and emotional wellbeing is looked after.